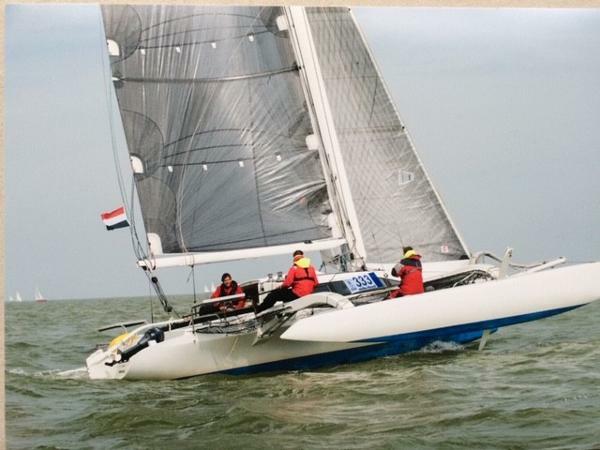 This beautiful Farrier catamaran presents in exceptional condition. 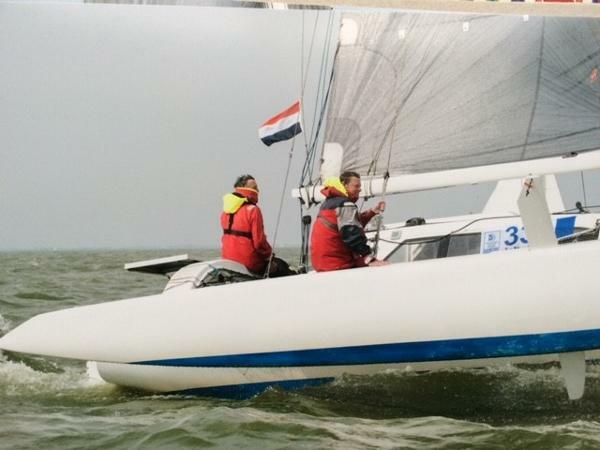 Designed by one of the worlds most respected and accomplished multihull designers, Ian Farrier this design was created for those boat owners who really enjoy sailing and want their catamaran to sail well as well as being a safe and strong vessel capable of cruising the globe. Fitted with twin dagger boards this vessel has the ability to point high into the wind so if there is a wind change then it’s no big deal to get to your next destination. 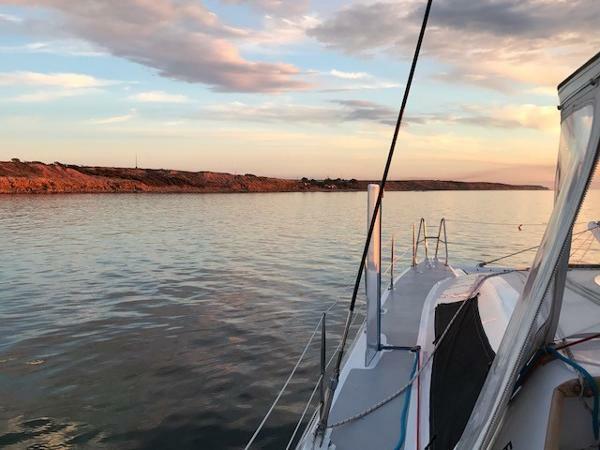 Playtime is located in South Australia where the owner regularly cruises the Spencer Gulf as well as three long range voyages into the Southern Ocean to Ceduna and return with ease and maximum enjoyment for all onboard. Built in high-tech DIAB foam sandwich and ATL epoxy resin it is light and strong, the ultimate off shore cruiser. 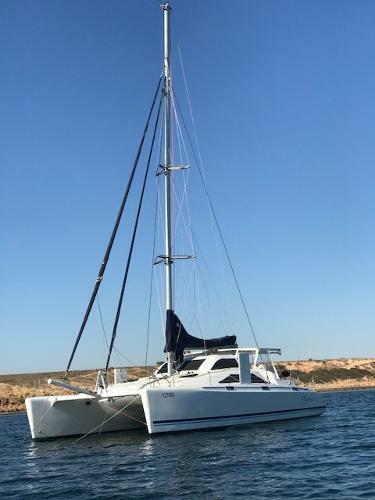 It has also been built and set up to comply with commercial survey standards of 2C & 1E where it has only ever done a few charters by the current owner. It has the unique layout of 2 x large aft cabins to give you two extremely comfortable large double berths cabins with plenty of room for you and your guests. It is a galley down arrangement which gives you a very large area to cook and prepare your gourmet meals in a large comfortable galley. (It’s interesting to know that a galley down will generally give 60% more cupboard space than a galley up layout). 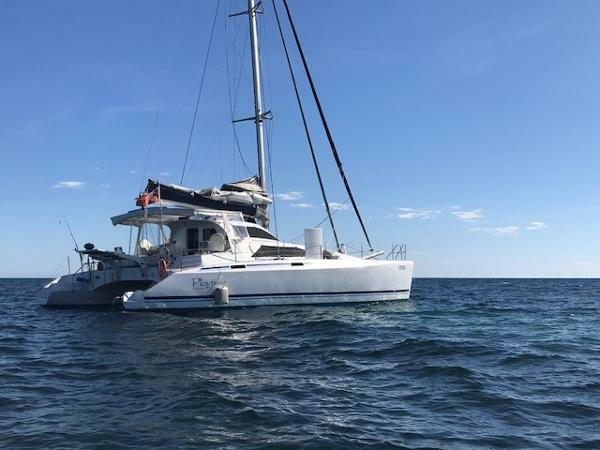 The vessel has been set up to be a standalone, self-sufficient cruiser and ready to set off to do more exploring of the Australian coast and beyond. 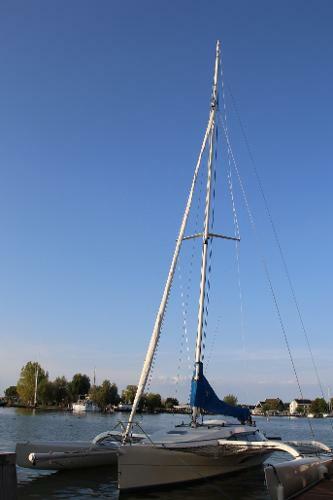 Please contact Multihull Solutions for the complete inventory and specifications.